The Renewable Energy and Energy Efficiency Partnership (REEEP) has provided € 667,500 in seed funding for eight new finance projects to accelerate the clean energy market in the developing world. Piloting innovative finance methods is one of the Vienna-based NGO’s key priorities in its small-scale project funding, designed to have a wide ripple effect. Microfinance facilities are a way to open up access to energy services for the rural poor. REEEP will work in Uganda to help microfinance institutions (MFIs) to establish small businesses selling solar, biogas and high-efficiency cookstoves, and to provide loans to 5000 consumers who buy them. In parallel, another REEEP project will help establish a network of retail outlets to sell energy-efficient CFLs, pressure cookers, stoves and solar lanterns in villages of the Indian state of Karnataka, and structure guarantees with MFIs to provide financing to end users. A successful microfinance mechanism is PFAN (Private Financing Advisory Network), a finance coaching and investor matchmaking service that works well in many developing markets as well as India and China. A new REEEP project will expand PFAN activities to Uganda and Mozambique, and aim to attract between $10-60 million of funding to clean energy projects in those two countries during its first year. Establishing microfinancing systems on the islands of Fiji, Vanuatu and Samoa over the next 15 months is the aim of the PREM (Pacific Renewable Energy and Microfinance) project. It kicks off with a baseline study on renewables and energy efficiency in these countries, and following this, a set of training tools will be created to assist MFIs in developing their own sustainable loan products. In Brazil, REEEP will target the agricultural sector in a project combining international and local sources of financing to make solar water pumps for irrigation, solar dryers for fruits, and bio-digestors for agricultural waste available to small farmers. With microfinancing at one end of the spectrum, other REEEP projects will aim to unlock the potential of large-scale investment in renewables. Institutional investors such as pension funds, insurance companies, and savings and investment banks see high risks associated with the emerging markets and with renewable energy. A REEEP project will seek to develop risk mitigation strategies and financing products through intermediaries such as E+Co, to attract these major players to the renewables market. In a similar vein, REEEP has also provided funding for the establishment of a Public-Private Mezzanine Finance facility for renewable energy projects in Morocco, Tunisia and Egypt. A shortage of investor equity capital and government subsidies are barriers to project financing renewable energy projects in the region. Mezzanine finance is a ‘quasi-equity’ structure that could help alleviate the current lack of developer equity. Finally, a REEEP project together with the China Development Bank will develop new financial tools and risk mitigation instruments for renewable energy project finance, and help build a network of market-based banks interested in renewable energy project finance. “We are convinced that targeted interventions like these will help to mobilise funding for renewables and energy effiency in the emerging markets,” said Marianne Osterkorn, Director General of REEEP. Wells Fargo and SunPower Corp. today announced a new collaborative effort to fund up to $100 million in SunPower commercial-scale solar systems. Under the financing program, SunPower will enter into power purchase agreements with qualified customers and Wells Fargo will finance the solar power systems that SunPower will design, build, operate, and maintain. Customers hosting the systems will buy the electricity from SunPower at prices that are competitive with retail rates, providing them with a long-term hedge against rising power prices and the ability to take advantage of the environmental and financial benefits of solar power with no initial capital investment. "We see increasing opportunities over the next several years to support renewable energy markets," said Barry Neal, director of Wells Fargo's Environmental Finance. "By teaming up with SunPower, we intend to support growth in the solar energy market by making it easier and more affordable for businesses and public entities to benefit from solar electricity today." The first projects financed under the program include a 1.1-megawatt system for University of California, Merced, and a 1-megawatt system for the Western Riverside County Regional Wastewater Authority. Scheduled for completion by year end, both will be ground-mounted systems using the patented SunPower(R) T20 Tracker technology, which follows the sun throughout the day and delivers up to 30 percent more energy than fixed-tilt ground systems. "SunPower offers high performance solar technology and financing expertise that helps customers maximize savings on their electricity expenditures. Our relationship with Wells Fargo strengthens our project finance efforts, streamlining the implementation of clean, renewable solar power for SunPower's large commercial and public customers throughout the U.S.," said Mac Irvin, managing director of SunPower's structured finance group. SunPower has more than 500 large public and commercial solar power systems installed or under contract, representing more than 400 megawatts. The company pioneered the use of solar power purchase agreements in 2000. Wells Fargo has provided more than $1.75 billion in financing for renewable energy projects since 2006. That includes funding for 27 wind projects, more than 150 commercial-scale solar projects and 1 utility-scale solar thermal project. WASHINGTON - Building on the action by the U.S. House of Representatives in passing historic legislation that will pave the way for the transition to a clean energy economy, President Barack Obama and U.S. Energy Secretary Steven Chu today announced aggressive actions to promote energy efficiency and save American consumers billions of dollars per year. Today's announcement underscores how the clean energy revolution not only makes environmental sense, but it also makes economic sense - creating jobs and saving money. "One of the fastest, easiest, and cheapest ways to make our economy stronger and cleaner is to make our economy more energy efficient," said President Obama. "That's why we made energy efficiency investments a focal point of the Recovery Act. And that's why today's announcements are so important. By bringing more energy efficient technologies to American homes and businesses, we won't just significantly reduce our energy demand; we'll put more money back in the pockets of hardworking Americans." "When it comes to saving money and growing our economy, energy efficiency isn't just low hanging fruit; it's fruit lying on the ground," said Secretary Chu. "The most prosperous, competitive economies of the 21st century will be those that use energy efficiently. It's time for America to lead the way." Today's announcement includes major changes to energy conservation standards for numerous household and commercial lamps and lighting equipment. Seven percent of all energy consumed in the U.S. is for lighting. * Decreasing the electricity used in GSFLs by 15%, saving consumers up to $8.66 per lamp over its lifetime; decreasing electricity used by IRLs by 25%, saving consumers $7.95 per lamp over its lifetime. In February 2009, President Obama tasked the Department of Energy with quickening the pace of energy conservation standards for appliances, while continuing to meet legal and statutory deadlines. Today's announcement - which takes effect in 2012 - focuses on General Service Fluorescent Lamps (GSFL), which are commonly found in residential and commercial buildings, and Incandescent Reflector Lamps (IRL), which are commonly used in recessed and track lighting. These fluorescent and incandescent lamps represent approximately 38 and 7 percent of total lighting energy use respectively. The final rule, as issued by the Secretary of Energy on June 26, 2009, can be viewed and downloaded from the Office Energy Efficiency and Renewable Energy's website. President Obama and Secretary Chu today announced a $346 million investment from the American Recovery and Reinvestment Act to expand and accelerate the development, deployment, and use of energy efficient technologies in all major types of commercial buildings as well as new and existing homes. Residential and commercial buildings consume 40 percent of the energy and represent 40 percent of the carbon emissions in the United States. Building efficiency represents one of the easiest, most immediate and most cost effective ways to reduce carbon emissions while creating new jobs. With the application of new and existing technologies, buildings can be made up to 80 percent more efficient or even become "net zero" energy buildings with the incorporation of on-site renewable generation. Today's buildings consume more energy than any other sector of the U.S. economy, including transportation and industry. In addition, almost three-quarters of our nation's 81 million buildings were built before 1979. Some were designed and constructed for limited service, and many will eventually require either significant retrofits or replacement. Innovations in energy-efficient building envelopes, equipment, lighting, daylighting, and windows, in conjunction with advances in passive solar, photovoltaic, fuel cells, advanced sensors and controls and combined heating, cooling, and power, have the potential to dramatically transform today's buildings. These technologies-coupled with a whole building design approach that optimizes the interactions among building systems and components-will enable tomorrow's buildings to use considerably less energy, while also helping to reduce emissions and increase energy security. These projects will address research focused on the systems design, integration, and control of both new and existing buildings. Buildings need to be designed, built, operated, and maintained as an integrated system in order to achieve the potential of energy efficient and eventually net zero-energy buildings. These projects will move beyond component-only driven research and address the interactions in buildings as a whole, in order to progress development of integrated, high performance buildings and achieve net zero- energy buildings. Expanded work in Residential Buildings will increase homeowner energy savings by supporting energy efficient retrofits and new homes while raising consumer awareness of the benefits of increased health, safety, and durability of energy efficiency. The projects will provide technical support to train workers and create jobs, developing a new workforce equipped to improve the Nation's homes and will permit a major initiative to provide builders with technical assistance and training through states, utilities, and existing programs to increase the market share of new homes achieving substantial whole house energy savings. To address existing homes, DOE will work with municipalities with a variety of housing types and vintages as well as subdivisions with similar housing stock to encourage a large number of energy efficiency retrofits. These Recovery Act funds will be used to accelerate and expand partnerships with major companies that design, build, own, manage, or operate large fleets of buildings and that commit to achieving exemplary energy performance. This funding will be used to expand the number of these partnerships from 23 to about 75 through a competitive process beginning in September, 2009. In order to achieve energy savings, and ultimately lead to zero energy buildings, the marketplace must be conditioned to accept the necessary advanced technologies and activities and ensure that the current technologies are performing as intended via current energy efficiency standards. Key activities include expanding ENERGY STAR to accelerate development of energy efficient products and expand the ENERGY STAR brand into new areas; preparing the design, construction, and enforcement community to implement commercial building energy codes that require a 30 percent improvement in energy efficiency over the 2004 code in 2010; and accelerating and expanding DOE's Appliance Standards program to evaluate innovative technologies and develop new test procedures that are more representative of today's energy use and equipment. The objective of the solid state lighting activities is to advance state-of-the-art solid-state lighting (SSL) technology and to move those advancements more rapidly to market through a coordinated development of advanced manufacturing techniques. This project will both aid in the development and reduce the first cost of high performance lighting products. Continuing advances can accelerate progress towards creating a U.S.-led market for high efficiency light sources that save more energy, reduce costs, and have less environmental impact than other conventional light sources. Read more information on these and other Funding Opportunities under the Recovery Act. At a event held last week at Puget Sound Energy (PSE) in Bellevue, Wash., the Pacific Northwest region of the Clean Tech Open (CTO), an innovation catalyst that helps great ideas become viable clean tech businesses, announced the 12 semi-finalists out of a field of 56 initial competitors in its clean tech business plan competition. The teams will compete for three regional prizes of up to $50,000 in cash and in-kind services as well as for one national prize of up to $250,000 in cash and services. Semi-finalists will now receive focused, hands-on mentoring from local and national business leaders to hone their clean tech business plans in preparation for the regional finals in September. Given its nationally recognized Green Power Program, its ongoing regional leadership in the advancement of energy efficiency and the development of renewable energy, and its Silver-level sponsorship of CTO, PSE was a logical venue for the ceremony. “We are dedicated to fostering innovation in clean technology,” said Stephen P. Reynolds, president and CEO of PSE. - Clarian Technologies - Smart-grid enabled wind and solar appliances, Seattle, Wash. Extreme Caps - Energy storage, Olympia, Wash.
- Green Lite Motors – 100 mpg commuter car/motorcycle vehicle, Portland, Ore.
- Hydrovolts - In-stream hydro turbines, Seattle, Wash.
- InnovaTek – Renewable hydrogen fuel cell technology, Richland, Wash.
- LivinGreen Materials - Advanced solar technology, Seattle, Wash.
- NHThree - Green anhydrous ammonia production, Richland, Wash.
- Pangreen - Mobile and web-based platforms enabling green living, Kirkland, Wash.
- Shorepower Technologies – Electric charging stations, Portland, Ore.
- Soluxra - Low-cost organic solar cells, Seattle, Wash.
- Veranda Solar - Plug and play solar appliances, Portland, Ore. The 12 semi-finalist teams will now participate in the CTO Accelerator program where they will be given training and experience in all aspects of starting and sustaining their businesses from national experts in venture capital, business, law, marketing and sustainability. All contestants can continue to be involved in the CTO community, having access to networking events, business tools, and other mentorship opportunities. U.S. companies are continuing to invest in energy efficiency and to incorporate sustainable practices that will lower their future carbon emissions while creating jobs and helping their own bottom lines, corporate executives told a Capitol Hill gathering today. These measures are part of the companies’ overall efforts to help the nation regain its economic footing, according to executives and energy efficiency advocates addressing the topic, Corporate Sustainability, The Environment and Economic Recovery - Investing for the Future. The panel discussion was sponsored by the Alliance to Save Energy and the Committee for Economic Development (CED). Panelists included Rep. Zach Wamp (R-Tenn.) of the House Renewable Energy and Energy Efficiency Caucus and an Alliance Board honorary vice-chair; Rep. Steve Israel (D-N.Y.) of the Sustainable Energy and Environment Coalition and also an Alliance honorary vice-chair; David Gardiner, senior advisor with the UN Foundation Energy Coalition; Charlene Lake, AT&T Chief Sustainability Officer; Curtis Etherly, vice president of public affairs for Coca-Cola Enterprises; Alliance President Kateri Callahan; and CED President Charles Kolb. The panelists discussed the innovative approaches that leading companies are taking to incorporate eco-friendly policies that save energy, lower energy waste and create new jobs while contributing to economic and environmental sustainability for years to come. Microsoft Corp. today announced Microsoft Hohm, a new online application that enables consumers to better understand their energy usage, get recommendations and start saving money. 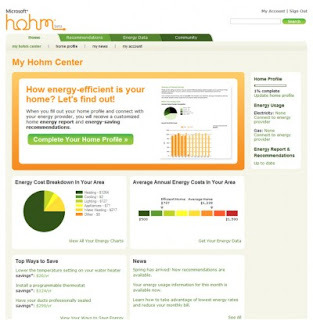 Microsoft Hohm uses advanced analytics licensed from the Lawrence Berkeley National Laboratory and the U.S. Department of Energy to provide consumers with personalized energy-saving recommendations. Microsoft Hohm is an easy-to-use tool that helps consumers lower their energy bill and reduce their impact on the environment. The beta application is available at no cost to anyone in the United States with an Internet connection and can be accessed directly by visiting http://www.microsoft-hohm.com/. The Toledo and Northwest Ohio area's involvement in solar energy production took another major step forward with the announcement of plans to develop North America's most advanced polycrystalline silicon (c-Si) production facility in Toledo. Officials of California-based Sphere Renewable Energy Corp. (SREC) said the company will develop a wholly-owned subsidiary, Buckeye Silicon (BeSi), in Toledo. The initial production module will be located at The University of Toledo's renowned Center for Renewable Energy. "Toledo is an outstanding community, one with the human resources that readily can be applied to our manufacturing business," said Harrison Choi, BeSi's President and CEO. Product produced by BeSi will be sold predominantly to PV producers in North America and Europe. SREC recently has entered into a joint venture with strategic, East Asian investors to begin using SREC's proprietary process to mass produce c-Si for the PV market. Solar cell manufacturers in the Toledo market currently use a process that does not require c-Si to produce PV solar cells. With the addition of BeSi's manufacturing base, the Toledo area will be capable of boosting its photovoltaic manufacturing portfolio, spanning the entire PV value chain. A ceremony in conjunction with the signing of a Memorandum of Understanding (MOU) was held at UT's Center for Renewable Energy. Signatories included BeSi, UT, the City of Toledo and the Toledo-Lucas County Port Authority. With an eye toward the future of both his company and the area's role in solar energy, President Choi said: "Over the next several years, we look forward to working with each of the MOU parties to create many net-new skilled jobs for Toledoans. Our plan is to grow to become a dominate, global polysilicon supplier as well as to further improve the NW Ohio platform so other solar-focused companies will base their businesses here." Michael J. Stolarczyk, President and CEO of the Toledo-Lucas County Port Authority, endorsed BeSi's move to Toledo. "The Toledo-Lucas County Port Authority strongly supports the further development of the solar industry in Northwest Ohio, and we are committed to working with BeSi on the development of its financing," Stolarczyk said. Sphere Renewable Energy Corp's approach involves a light industrial, modular process which requires much less space and energy than a traditional polycrystalline silicon production facility. Also, SREC's development is more efficient. The approach up until now has involved massive chemical infrastructure facilitation, similar to an oil refinery, with many of the related concerns that refineries experience. LDK Solar Co., Ltd. ("LDK Solar"; NYSE: LDK), a leading manufacturer of multicrystalline solar wafers, announced today that it has reached mechanical completion of the first 5,000 metric ton (MT) train in its 15,000 MT annualized capacity polysilicon plant in Xinyu, China. Installation has been completed of the Utilities, Infrastructure and Offsite (U&I&O) facilities. Pre-commissioning and commissioning of all the U&I&O systems is nearing completion in preparation for initial production of polysilicon in the first 5,000 MT train. Smartcool Systems Inc. is pleased to announce it has completed several installations of its recently released ECO(3)(TM) technology into a variety of locations in Vancouver and the Interior of British Columbia. The energy savings being generated in these locations is proving that Smartcool can provide an economically viable solution to businesses looking to reduce their energy consumption, controlling their operating expenses, thereby boosting their bottom line. The ECO(3)(TM) has been installed on refrigeration systems in a restaurant, a grocery store and a food processing plant and the air conditioning system for a small commercial building and a data centre. "The success of the ECO(3)(TM) in these locations is very encouraging for Smartcool as it proves that we have developed a technology the makes economic sense in a region with relatively low electricity rates and a temperate climate," stated George Burnes, President of Smartcool Systems Inc.
ECO(3)(TM) is a revolutionary product specifically developed as a state of the art, secondary controller for air conditioning and refrigeration systems. It provides extensive cost savings and environmental benefits by optimizing the energy efficiency of air conditioning and refrigeration systems with one or two compressors. These cooling units are found in millions of buildings worldwide that includes telecom providers, retailers, restaurants, grocery and convenience stores, hotels, branch offices and other small commercial spaces, and residences. "Smartcool is pleased to be working within our home province of British Columbia," added Chris Lefaivre, VP of Sales for Smartcool. "In recent months we have become a registered contractor in BC Hydro's "Power Smart Alliance" and qualified for the BC Venture Capital Tax Credit Program. The business community here is calling out for economically sound programs to reduce energy usage and their cost of power. With the ECO(3)(TM) we have developed a proven technology that meets those requirements with the added bonus of reducing greenhouse gas emissions. We are very proud to deliver a solution to today's problems that is both economically and ethically sound." On May 27, Schneider Electric presented an off-grid solar photovoltaic facility to local officials in Marovato, on Madagascar’s east coast, as part of its in-house BipBop energy access program for people at the bottom of the pyramid. Schneider Electric deployed its full range of skills and competencies to offer Marovato’s 120 residents access to energy that is safe, reliable, efficient, productive and green. To carry out this project, the Group forged an innovative partnership with businesses, associations and residents within the Jirano association, whose mission is to set up a sustainable electricity supply system for isolated villages in Madagascar. Schneider Electric and its partners developed a dedicated solution tailored to the nature and size of this project. The solution’s components ensure that the system operates smoothly, at top efficiency, and protect the solar installation. The Group provided a Xantrex by Schneider Electric photovoltaic inverter and charger, circuit breakers, and remote supervision and monitoring of the electrical enclosure via the GSM network. The facility generates peak power of 1,400 watts. In comparison, the village currently uses 490 watts. Schneider Electric and the Jirano association also developed a program to teach residents how to maintain the facility. In all, 12 jobs in electricity-related fields were created. In 2009, projects supported by Schneider Electric in Madagascar are expected to electrify 1,000 households, train 100 people and create 50 additional jobs. In a country with a limited power grid where only 20% of the population has access to electricity, off-grid clean energy solutions are a simple and efficient way to meet the development needs of disadvantaged communities. By helping these communities tap into renewable energies, Schneider Electric is reaffirming its socially responsible commitment to helping improve quality of life for people at the bottom of the pyramid and facilitating access to healthcare and education. - Business - Build and deliver electrical distribution solutions for people at the bottom of the pyramid. - Investment - Create an investment fund to develop electrical businesses. - People - Help provide electrical training for young people looking to enter the workforce. Helping customers consume less, produce more effectively, improve energy efficiency, protect the environment and contribute to the development of renewable energy sources is an integral part of Schneider Electric’s business and strategy. The BipBop initiative to electrify Marovato illustrates Schneider Electric’s desire to create a virtuous circle combining business, innovation and social responsibility. Find the press kit on the electrification of the village of Marovato in the Press Area of Schneider Electric website. The European Tech Tour's inaugural Cleantech Summit 2009, in which is being held today and tomorrow in Geneva, will showcase 24 leading European start-up and early stage cleantech companies. The Summit will support the development of start-ups developing products and services that will have a strong influence on combating climate change and alleviating the environmental impact of business. The Summit is the first cleantech event in the European Tech Tour's series of vertical events which bring together Europe’s most innovative privately-held technology companies with the vision and resources of Europe's top venture capitalists. Cleantech is currently the subject of intense political and social interest and is one of the fastest growing investment markets. During the Summit, delegates will hear presentations from the 24 winning companies, who have been selected from a pool of over 300 applicants. The selected companies span cleantech segments such as: solar, wind, wave and bio energy; energy efficiency and storage; clean transport; biomaterials; and waste management. The top-24 companies were selected by a committee composed of experienced cleantech investors and professionals across Europe. In addition, panel discussions will address timely topics such as: Smart Grids, Smart Meters and the Applications for Start-ups; and The Future of Renewable Energy. The sessions will have participants from industry (Schneider Electric, Honeywell, Statkraft, BP Alternative Energy, AXPO, Bard Engineering), venture capitalists and start-ups. * Mr Michel Jarraud, Secretary General, World Meteorological Organisation will also be addressing the Summit attendees. An international delegation of more than 140 influential investors, technology industry leaders, service providers and academics has signed up for the event. “This summit is about what our society needs to address the climate change issue: collaboration. We are facilitating the collaboration between entrepreneurs and investors, start-ups and established companies, energy generators and energy users; and between business and politics,” said Bernard Vogel, President Cleantech Summit 2009. "Some very exciting start-ups are taking part in the Cleantech Summit 2009, many with the potential to impact consumers' lives for the better in the long term." Ascent Solar Technologies, Inc. (NASDAQ:ASTI), a developer of state-of-the-art, flexible thin-film photovoltaic modules, announced that the company has manufactured a monolithically interconnected 5 meter long flexible light weight module on a polyimide substrate. The CIGS based thin film material used in this module was manufactured using the company’s unique 1.5 MW roll-to-roll manufacturing line. The module was encapsulated during the testing and qualification of equipment that will be used for its 30 MW plant under construction. Based on internal test and evaluation, this 5M long module weighs 2 kilograms and produces 123 watts (under standard test conditions) with an aperture area efficiency of 9.1%. This length is a baseline for the company’s development of large area flexible building integrated photovoltaic (BIPV) products with our strategic BIPV partners. Satcon Technology Corporation (“Satcon”) (Nasdaq: SATC) today announced that it has closed its previously announced public offering of 17,891,346 shares of its common stock (including 2,333,654 shares issued pursuant to the exercise in full of the underwriters’ over-allotment option) at a price to the public of $1.30 per share. The gross proceeds to Satcon, before expenses, from the sale of shares were approximately $23.3 million. Thomas Weisel Partners LLC acted as managing underwriter and book runner and Ardour Capital Investments, LLC acted as co-managing underwriter. GridPoint, Inc., a leading smart grid company, announced the release of GridPoint Platform 3.0, a standards-based open platform that provides utilities with an intelligent network to manage and control distributed energy resources. GridPoint Platform 3.0 enables utilities to offer consumers online energy programs, delivers advanced demand response programs based on consumer preferences, grid status, real-time market prices and analytics, and expands the variety of home area network devices it controls. Additionally, the platform now provides utilities with an easy, cost-effective path to extend smart grid capabilities to residences equipped with AMR meters. The platform allows utilities to progressively integrate and customize smart grid solutions, including energy efficiency, load management, renewable integration, storage management and electric vehicle management. The platform delivers these solutions through the integration of distributed energy resources, including plug-in electric vehicles, solar panels, advanced storage technologies, and household devices such as thermostats, electric water heaters and pool pumps. GridPoint Platform 3.0 aggregates these assets into a single manageable resource that utilities control via the GridPoint Utility Portal. The platform provides utilities with availability, scheduling and forecasting, and measurement and verification. Furthermore, the platform’s auditing and reporting capabilities are a critical component for utilities seeking revenue-grade treatment for demand response events. Leaders of the algae biofuel industry will meet on Capitol Hill today to brief congressional legislators on sector-wide technology and production advancements allowing for commercially-viable fuels, and advocate for continued federal support to help see the technology to maturity. Algae-based biofuel has captured widespread interest for its ability to deliver significantly higher yields than plant-based technologies, recycle CO2 directly from industrial sources and not compete with agricultural land or water supply. To better inform legislators in setting a Renewable Fuel Standard, Tax Code and Recovery Act funding inclusive of such promising technologies, executives from leading algae biofuel companies Aurora Biofuels, LiveFuels, and Solix Biofuels - together with representation from the Biotechnology Industry Organization - will gather in Washington D.C. to provide government representatives with contextual information relevant to this rising interest in algae fuel generation. "We applaud the leadership of the United States in forwarding carbon sequestration initiatives like the Carbon Capture and Storage Program," said Bob Walsh, CEO of Aurora Biofuels. "Algae biofuels provide superior benefits in trapping and eliminating industrial carbon waste, and present a great opportunity to attain these program goals." "Nurturing an algae biofuel industry in the United States will create jobs that cannot be outsourced," said David Jones, COO of LiveFuels. "By supporting this industry, we can ensure new high-quality, well-paid jobs - not only in science and technology, but operations as well." Doug Henton, CEO of Solix Biofuels, commented that "at the end of the day, no one single solution will address our domestic energy demands, but a continued focus on energy independence and technology neutrality will allow algae biofuels and other promising technologies to rise up and meet these 21st century energy demands." "The decisions Washington will make in the days ahead will determine the future of our industry, and our ability to fulfill demand for an abundant renewable fuels marketplace," said Matt Carr, Policy Director, Industrial & Environmental Section at BIO. "We want to help inform representatives to the realities of algae biofuel production and encourage measures that are inclusive of systems like these and with other advanced biofuels in any mandates to come." The Virtual Energy Forum, the world's largest online-only energy conference held twice a year, is meeting on June 24th and 25th from 8:00 AM to 6:00 PM. The event is focused on how leading companies can adopt better energy management practices to cut costs -- presenting alternative energy technologies, policies, and best practices in a live, interactive environment. Topics include: sustainable energy management, alternative energy, clean technologies, green buildings and operations. The event is completely free and all you need is a computer to attend. Virtual Energy Forum offers attendees an opportunity to watch energy experts live and get answers to their questions on-the-spot. Attendees can also watch live video case studies on how other companies have implemented energy-efficient solutions, browse a virtual exhibit floor featuring sustainability solutions, and text chat with representatives about their products. Good Energies and VantagePoint Venture Partners involved in both deals. The investment was led by VantagePoint Venture Partners, a recognized leader in the clean tech space, and includes Good Energies, the leading global investor in renewable energy and energy efficiency solutions, RRE Ventures, a builder of leading companies in the software, communications and financial services industries, Vista Ventures, an early stage venture capital firm based in Boulder, Colorado and Appian Ventures, an investor in software and technologies that improve business performance through the application and management of network connectivity. 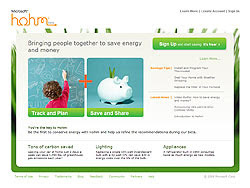 AlertMe.com, the award- winning provider of smart energy saving systems for homes, today announced it has secured £8 million in Series B funding by investors Good Energies, Index Ventures, SET Venture Partners and VantagePoint Venture Partners. The financing will enable AlertMe.com to extend its product development program, continue to ramp up its distribution strategy and to expand the existing team. The number of jobs in America’s emerging clean energy economy grew nearly two and a half times faster than overall jobs between 1998 and 2007, according to a report released today by The Pew Charitable Trusts. Pew developed a clear, data-driven definition of the clean energy economy and conducted the first-ever hard count across all 50 states of the actual jobs, companies and venture capital investments that supply the growing market demand for environmentally friendly products and services. Pew found that jobs in the clean energy economy grew at a national rate of 9.1 percent, while traditional jobs grew by only 3.7 percent between 1998 and 2007. There was a similar pattern at the state level, where job growth in the clean energy economy outperformed overall job growth in 38 states and the District of Columbia during the same period. The report also found that this promising sector is poised to expand significantly, driven by increasing consumer demand, venture capital infusions, and federal and state policy reforms. America’s clean energy economy has grown despite a lack of sustained government support in the past decade. By 2007, more than 68,200 businesses across all 50 states and the District of Columbia accounted for about 770,000 jobs. Pew’s definition of the clean energy economy is based on research and input from experts in the field, including an advisory panel convened to help guide the study. According to Pew, “a clean energy economy generates jobs, businesses and investments while expanding clean energy production, increasing energy efficiency, reducing greenhouse gas emissions, waste and pollution, and conserving water and other natural resources.” It comprises five categories: (1) Clean Energy, (2) Energy Efficiency, (3) Environmentally Friendly Production, (4) Conservation and Pollution Mitigation, and (5) Training and Support. The definition provides a groundbreaking framework for tracking jobs, investments and economic growth over time and allowing the public and private sector to evaluate the effectiveness of policy choices and investments. SunEdison today formally announced the opening of the ROC (Renewable Operations Center), North America's first fleet-wide PV management command and control center. The ROC, located in SunEdison offices at the historic McClellan Air Force hangar, serves as the hub for SunEdison solar fleet performance data analysis, PV solar energy system monitoring, remote diagnostics, and automated service dispatch. According to Mark Culpepper, CTO of SunEdison, "Our goal is simple - deliver more energy and thus more savings to our customers and greater returns to investors. The ROC enables SunEdison to manage remote diagnostics and, as needed, quickly dispatch local service crews in a matter of minutes. The ROC goes far beyond monitoring, creating visibility and transparency in solar energy delivered across any utility's service territory. The advanced control and monitoring technologies of the ROC mark the first time in North America that commercial and government entities have transparency into the delivery and measurement of solar energy and associated environmental benefits. In addition, utility operators now have the option to have direct visibility into the energy delivered by the SunEdison solar fleet. In 2008, SunEdison systems performed at over 100% of expected electricity generation. "A services architecture supporting the ROC and our discipline around service response are both key to exceeding generation expectations," Culpepper concluded. SunEdison has more than 65 megawatts of solar under management in the United States. Beacon Power Corporation (Nasdaq: BCON), a company that designs and develops advanced products and services to support more stable, reliable and efficient electricity grid operation, announced that it has been selected by the New York State Energy Research and Development Authority (NYSERDA) for a project award valued at $2 million, subject to negotiations for the project contract. The award would provide partial funding for 1 megawatt (MW) of flywheel energy storage in Stephentown, New York – the first of 20 MW that Beacon expects to build and operate on the site. Under the anticipated contract, the NYSERDA funding will partially pay for the design, site preparation, flywheel production, installation, system commissioning, data monitoring and analysis of a 1 MW Smart Energy Matrix that would provide frequency regulation services. As part of the same award, NYSERDA is also providing partial funding for certain interconnection components of the 20 MW frequency regulation plant that Beacon plans to construct on the Stephentown site. The 1 MW Smart Energy Matrix will be initially connected to a power line owned by NYSEG, a major state utility. A system impact study for the 1 MW project has been successfully completed, and Beacon has entered into an interconnection agreement with NYSEG. When the balance of the 20 MW plant is constructed, the 1 MW system will be switched over and the entire facility will connect to a transmission line owned by National Grid. Beacon will receive the funding from NYSERDA in stages that will be tied to construction milestones and system performance parameters. Once built and connected, the 1 MW system will be capable of receiving a commercial regulation control signal from New York ISO (NYISO), and earning revenue by bidding into the NYISO regulation market. NYISO received approval last month from the Federal Energy Regulatory Commission for what is considered to be the most favorable tariff for grid-scale energy storage among any of the open-market grid regions. In addition, NYISO has already completed the related technical implementation of software and control systems. Solazyme, Inc., a renewable oil production company and leader in algal synthetic biology, announced that it has surpassed $76 million in funding, which includes a $57million Series C financing round that just closed. Solazyme uses microalgae biotechnology to produce clean and scalable fuels, “green” chemicals, edible oils and health and wellness products. Braemar Energy Ventures and Lightspeed Venture Partners led the financing round and were joined by other new investors including VantagePoint Venture Partners. All major existing investors participated in the round, including The Roda Group, Harris and Harris Group, and Solazyme Chairman Jerry Fiddler. The round also included new strategic investors in key target markets. All funding has been dispersed to Solazyme and will be used to move the company to commercialization. "This most recent funding validates the unique value of our oil production platform and adds to our already strong financial position. Solazyme’s mission is to answer the increasing global demand for clean and renewable sources of oil. We offer sustainable and scalable technology that provides unique solutions for addressing four of the largest challenges facing our country and our planet: increasing energy demand, heightened energy security needs, energy related environmental degradation and hunger," said Jonathan Wolfson, CEO of Solazyme. "Braemar’s mission is to identify and support the most promising alternative energy firms with disruptive technologies that provide meaningful clean energy solutions," said William Lese of Braemer Energy Ventures. "Solazyme’s renewable oil and advanced biofuels technology is leading the industry on the path to commercialization and will be cleanly powering our vehicles with renewable fuels that fit within the existing infrastructure." "Solazyme has proven itself as a pioneer in the advanced biofuels space, by being the first to do many things including scale-up, production and road testing of a variety of advanced biofuels that can simultaneously meet current U.S. fuel specifications while reducing greenhouse gas emissions by over 80%," said Chris Schaepe, a partner at Lightspeed Venture Partners. Solazyme’s unique renewable oil production process grows algae in the dark in an industrial fermentation process, where the algae are fed non-food biomass and industrial byproducts including a wide variety of cellulosic materials and low-grade waste glycerol which are converted by the algae into oil. This allows the company to produce oil cleanly and economically in a controlled, large-scale process. Solazyme is currently producing thousands of gallons of oil in commercial scale facilities and has produced in-specification fuels including renewable diesel, biodiesel and jet fuel. Solazyme’s first fuel, SoladieselTM, has been successfully road tested as an unblended fuel (100%) for thousands of miles in a variety of unmodified vehicles. Additionally, Solazyme’s process is the first bridge from non–food carbohydrates and industrial waste streams to edible and renewable oils. This technology has already been shown to produce high quality oils for a multitude of purposes across a variety of industries. Suntech Power Holdings Co., Ltd. (NYSE: STP), the world's largest manufacturer of crystalline silicon photovoltaic (PV) modules and Petra Solar, Inc., a designer and manufacturer of intelligent utility grade solar energy and smart grid systems, today announced an alliance that will focus on marketing utility-grade, pole mounted solar AC Systems as well as ongoing development of AC module products. The alliance will target unique pole mounted applications for utilities in the United States and the rest of the world. Dr. Zhengrong Shi, Suntech's Founder, Chairman and CEO said, "We recognize that Petra Solar is the leader in the development of innovative utility grade, pole-mounted distributed PV systems. Their vision to create a market for intelligent solar energy systems attached to utility poles and street lights, which combines distributed solar generation and smart grid technology, has great potential for Suntech. We are excited about the value that we can bring to utility customers as a result of working with Petra Solar." "Suntech's global reach and well deserved reputation for market leading products provide compelling value to the utility market in the United States and around the globe," said Dr. Shihab Kuran, Founder, President and CEO of Petra Solar. "Suntech has the world's largest crystalline silicon module manufacturing capacity and we look forward to expanding our market coverage to address all segments of the global utility market as a result of this alliance." Dr. Kuran continued, "We applaud Suntech's decision to establish manufacturing capabilities in the United States and are confident that this will contribute to the rapid deployment of our products in the U.S. We are confident that the Suntech-Petra Solar collaboration will lead to the creation of many green jobs." Petra Solar's SunWave(TM) utility grade solar AC systems are designed to mount quickly and safely to utility distribution and streetlight poles and deliver power directly to the grid. The systems consist of a high efficiency PV module and integral line voltage inverter with comprehensive communications and smart grid capabilities. Petra Solar's AC Module has received CSA Certification according to UL standards. In addition, Petra Solar received CSA Qualification for Witness Testing for its manufacturing facility in South Plainfield, NJ, where AC modules and systems will be manufactured. Trina Solar Limited (CHANGZHOU, China), a leading integrated manufacturer of solar photovoltaic products from the production of ingots, wafers and cells to the assembly of PV modules, today announced the planned establishment of a warehouse operation in The Port of Oakland, California. The warehouse is strategically located in California, which in 2008 had a total of 530MW of the estimated 800MW of grid tied PV capacity(1) in the United States. With planned service to begin in June of 2009, the warehouse is expected to strengthen Trina Solar's distribution network in North America by allowing us to respond more swiftly to customer delivery requests. "We are pleased to announce the establishment of our first warehouse in North America, which will help to accommodate the growing demand for our products, pursue new relationships and better serve our customers," said Arturo Herrero, Trina Solar's Vice President of Sales & Marketing. "In addition, we view the outlook for PV installations in the United States as positive given the national promotion of a green economy to secure energy independence and create green jobs." 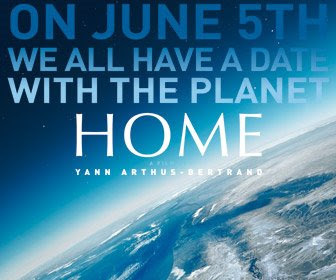 The world premiere of “Home”, the documentary about the current state of the Earth, produced by French award-winning filmmaker Luc Besson and directed by photographer Yann Arthus-Bertrand, is available free to view on YouTube since the 5th of June, to mark and celebrate the 37 annual World Environment Day. In the 90 minute full-length film, never-before-seen landscapes from the sky aim to raise awareness of the current state of planet Earth and demonstrate the urgency for more sustainable living. "Home is an incredible movie that enables a global audience to experience our planet like never before through camerawork that helps us see landscapes from the sky so we can experience complicated environmental situations from above," said Mats Carduner, head of Google France and Southern Europe. "We're thrilled to work with renowned film creators Luc Besson and Yann Arthus-Bertrand to raise awareness of the state of our planet and to align with the television and movie industries as part of this initiative." "The message in this film is incredibly important since it underscores the question of survival. It needs powerful and accessible platforms like YouTube and Google Maps to reach the largest audience", said Yann Arthus-Bertrand, Home director and producer. "It's too late to be pessimistic. Together we can still do something." SolarCity®, a national leader in solar power system design, financing, installation, monitoring and related services, and U.S. Bancorp Community Development Corporation (USBCDC) today announced a new partnership to finance solar projects for U.S. homeowners and businesses. USBCDC is a division of U.S. Bancorp (NYSE: USB), which is also the parent of U.S. Bank, the sixth largest commercial bank in America. The two companies have created a new tax equity fund to finance SolarCity’s groundbreaking solar lease option (SolarLease™) for homeowners and power purchase agreements (PPA) for businesses. The two companies are not disclosing financial terms of the fund, but do expect it to finance more solar projects in 2009 than any other tax equity fund in the U.S.
USBCDC’s new fund is one of only two tax equity funds closed in 2009 in the U.S. with the ability to finance residential solar projects—both funds were created with SolarCity to finance solar installations. SolarCity plans to hire 100 new employees in the next six months to increase installation capacity as a result of the new financing. SolarCity’s SolarLease option allows U.S. homeowners to put no money down on a new solar system and save money from day one on energy costs. The company’s unique combination of integrated financing, design, installation, monitoring and guaranteed performance has made it the most popular residential solar provider in the U.S.
SolarCity operates in California, Arizona and Oregon. Businesses and homeowners interested in SolarCity’s zero-down financing options can contact the company directly at 1-888-SOL-CITY (1-888-765-2489). Homeowners interested in SolarLease can estimate their solar lease payment and potential electricity savings by using SolarCity’s solar calculator, available online at www.solarcity.com. "Effective environmental management requires good insight, good analysis and good data,” said Bryan Jacob, Director of Energy Management and Climate Protection for The Coca-Cola Company. “We have been pleased to collaborate with Hara in the development of its Energy & Environmental Management solution – an application that combines data collection with mitigation planning and initiative tracking in a comprehensive package that enables us to improve energy efficiency and environmental impact." More than a dozen organizations, including The Coca-Cola Company and the City of Palo Alto, are already using Hara EEM to improve their operational efficiency, maximize shareholder value and manage risks while keeping up with changing externalities including pricing for commodities such as energy and pending regulation on a global scale. Companies with a commitment to sustainability have outperformed their peers by 10 to 15 percent*. A perfect storm of business imperatives – environmental, economic, and regulatory – is requiring private and public sector organizations to act now. To date, while the imperatives are clear, most organizations have been without a transparent and auditable way to address these challenges. Hara provides a comprehensive solution to manage the environmental record, and prioritize and track reduction and cost savings initiatives that are both achievable and auditable under current or future regulations. “Energy efficiency has never been more critical to corporate performance – directly in terms of bottom line costs but also indirectly in terms of related emissions from non-green energy sources,” said Dr. Stephen Stokes, Vice President of Sustainability and Green Technologies at AMR Research. "Tracking, analyzing and optimizing energy usage and emission outputs from economic entities is a crucial, additional, new class of enterprise information which will drive future operational and performance excellence." GE announced that it has surpassed its first ecomagination goal to reduce its own greenhouse gas intensity, and is making progress against its other goals for revenue growth, water and technology innovation. • Bringing annuals sales of ecomagination products to $25 billion by 2010. • Investing $1.5 billion annually in ecomagination R&D by 2010. • Improving energy efficiency by 30 percent by 2012. • Reducing water consumption by 20 percent by 2012.